Some skeletons like to scare people, some like to chill in graveyards, and others like to hang out inside playgrounds. This skeleton in particular loves playgrounds, the swings in particularly. He saves all the spooking, scaring, and creeping for the ghosts, ghouls, and goblins of the world because this little bony bro prefers pumping his legs (or should we say patellas) atop a wooden seat. What an endearing quality, we can't believe this skeleton is so loveable! 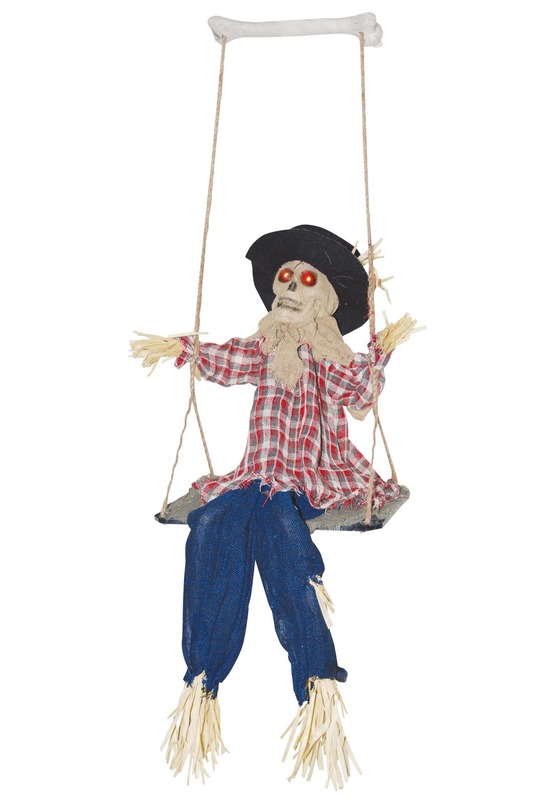 If you want this dude to enjoy partaking in his favorite pastime in your front yard (or backyard) then this Halloween decoration is exactly what you need in your life! This animated prop is activated by sounds so as soon as this skeleton hears a single peep, he's going to start swinging his skeletal little legs. Not only does this decoration really swing, but the eyes light up red and he also laughs. (What a good-natured little dude!) This decoration also comes with 3 AA batteries for your decorating convenience.